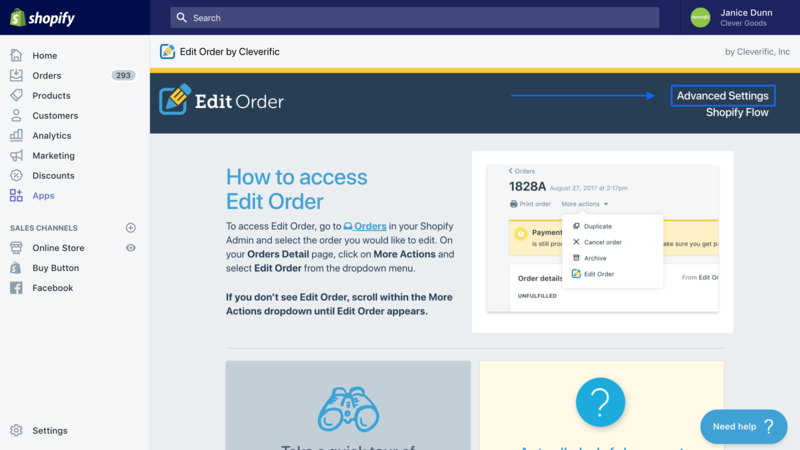 This article will show you how to use Edit Order's Pay with Credit Card feature to capture a credit card payment when editing an order. This is useful if you need to accept a payment from a customer immediately by entering in their credit card number, instead of emailing them a Payment Request they could pay later. Stripe's general fees for accepting credit card payments are: 2.9% + 30c per transaction. These fees can vary based on region, so please refer to stripe.com to confirm fees for your region. Edit Order's fee for using Pay with Credit Card is 0.5%, bringing the total fees for Pay with Credit Card to 3.4% + 30c per transaction. 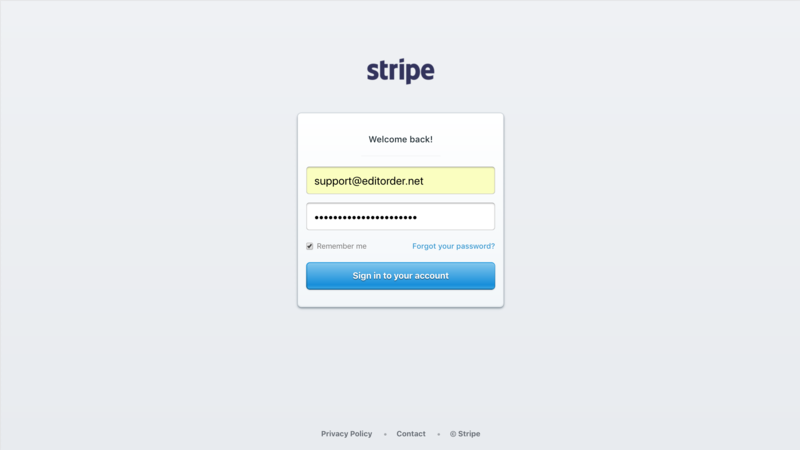 If you don't already have a Stripe account, you'll first need to sign up for a Stripe account here: https://dashboard.stripe.com/register, OR you can create your Stripe account during the set up process listed below. 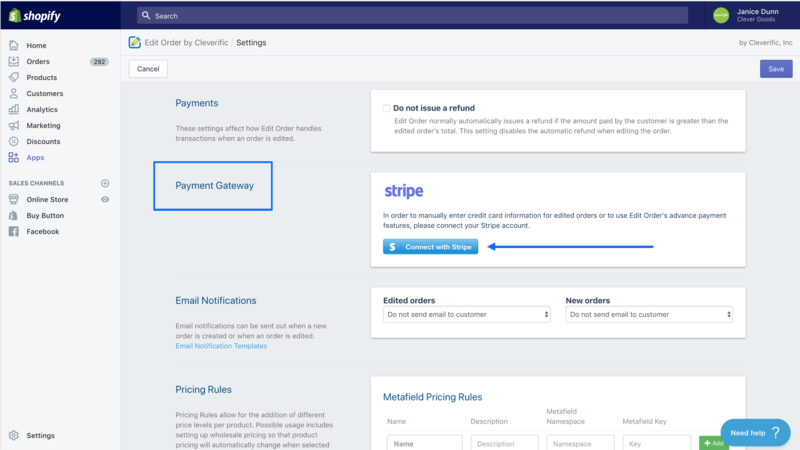 Your stripe account will now be connected with Edit Order. 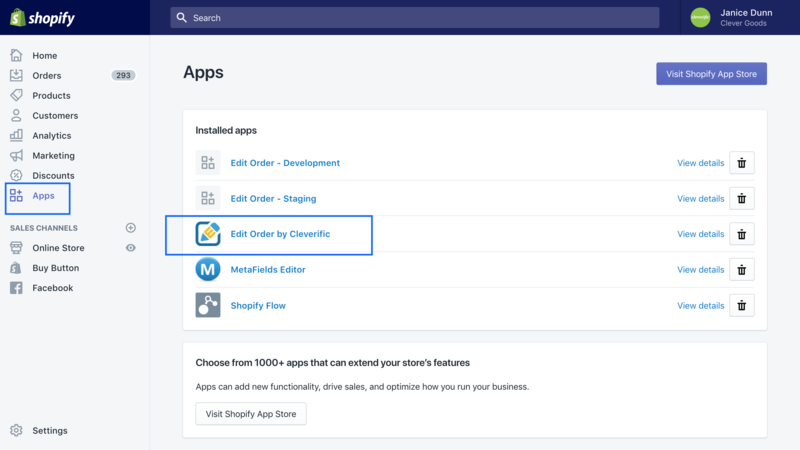 This means that whenever Edit Order detects an outstanding balance on a new or edited order, you'll have the option to click Pay With Credit Card and enter your customer's credit card information on the spot. Now, learn how to Accept a credit card payment.